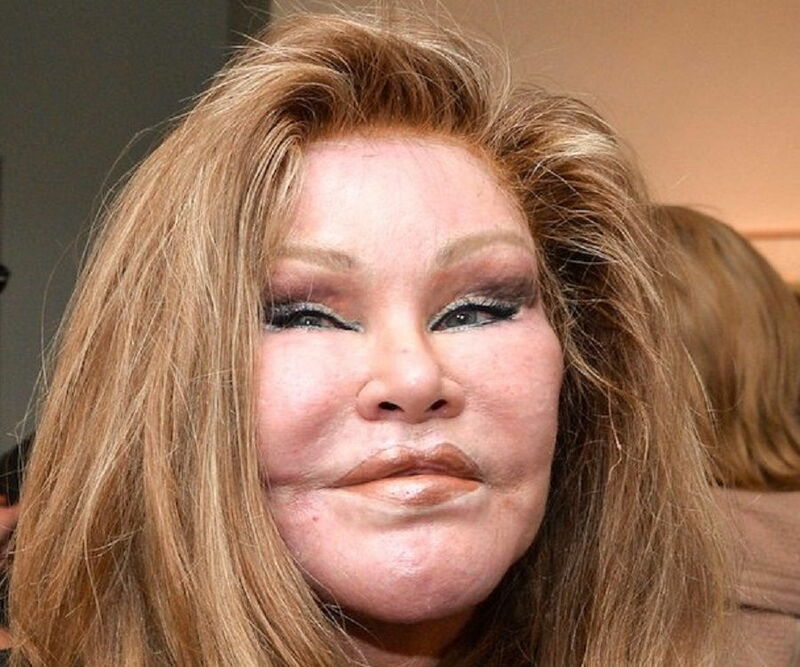 Jocelyn Wildenstein is an American socialite who is known for marrying into the notorious Wildenstein family. Jocelyn Wildenstein is an American socialite who is known for marrying into the notorious Wildenstein family and subsequently becoming one of the wealthiest divorcees in the world. Born in Switzerland, Wildenstein traveled around Europe and Africa in her youth, before marrying Wildenstein, with whom she has two children. Intriguingly, after their acrimonious divorce, Alec Wildenstein questioned the nature of her activities, suggesting that she had been a courtesan in Paris. After her marriage, she had devoted herself to ‘Ol Jogi,’ a family ranch in Kenya, which she modified significantly before her split from Alec. She received a record amount as divorce settlement from her husband. Recently, however, she has become better known for her extensive plastic surgery procedures and financial troubles that further intensified after her ex-husband’s family supposedly embargoed her alimony payments. Jocelyn remains the subject of tabloid fodder as of 2018, with charges of domestic violence and insolvency leveled against her in recent years. She began dating a Swiss movie producer named Cyril Piguet at the age of 17, and two years later, they moved to Paris together. Wildenstein later said that her life “changed then,” as freed from the “plain” Lausanne, she was finally able to meet “exciting, glamorous” people. 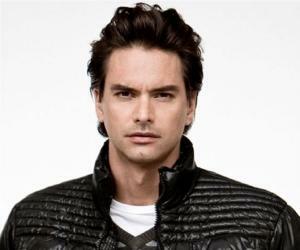 After breaking up with Piguet, she dated Italian–French filmmaker Sergio Gobbi for five years. She traveled extensively during these years, exploring Africa in particular, which fascinated her endlessly. She met Wildenstein there. At some point during this period, she was also associated with Adnan Khashoggi, the Saudi arms dealer, who introduced her to Wildenstein. Jocelyn told ‘The New York Times’ that she had no interest in a traditional career, stating that her talents lay elsewhere. She declared in the same interview that she was “maybe extremely good at decoration.” S ubsequently, her career as a wife and socialite became inextricably intertwined with her personal life, which continues to be the case, as of 2018. She met Alec N. Wildenstein, the son of renowned French art dealer, Daniel Wildenstein, while on a safari with friends in Kenya, in 1977. Her future husband was engaged with inspecting family property (the 66,000-acre ‘Ol Jogi’) when the socialite struck up an acquaintance with him by asking if she could accompany him on a hunt. Both of them were involved with other people at that time¬: Jocelyn was dating Gobbi, and Alec was in a relationship with Maria Kimberly, a Ford model and star of French filmmaker Jacques Tati’s ‘Traffic.’ These relationships were dissolved soon afterward. The couple eloped to Las Vegas on April 30, 1978 , where they reportedly married, despite objections from Alec’s father, Daniel Wildenstein. Their marriage vows were solemnized by a rabbi, and Jocelyn later claimed that Alec had been keen to have her converted to Judaism. The senior Wildenstein did not attend their second ceremony in Lausanne and encouraged Kimberly to win his son’s affections back. During the early years of their marriage, the couple lived in New York’s ‘Olympic Tower,’ before moving to a townhouse on East 64th Street. The newly married couple had their first plastic surgeries together, a year into their marriage, when Jocelyn told her husband that his eyes looked “baggy.” Thus began Jocelyn’s lifelong obsession with surgery, with her husband later remarking that she intended to “fix her face like a piece of furniture.” Over the years, Jocelyn grew obsessed with looking like a lynx (supposedly, to keep the cat-loving Alec happy), resulting in a distinctive appearance that has invited a lot of scrutiny. However, she denies these rumors, insisting that her increasingly bizarre appearance is the result of genetics. Daniel Wildenstein and his daughter-in-law grew closer after she gave birth to two children, Diane and Alec Jr., although the relationship deteriorated completely after the messy divorce. She also grew more involved with the maintenance of the ‘Ol Jogi’ ranch and claims to have overseen the property’s 400 kilometers of road s, its 200 buildings, its two swimming pools, its 55 lakes, its in-house wildlife preserve , and its 366 staff. She was also supposedly responsible for bringing two tigers which live in a bulletproof glass cave on the bank of one of the pools. Jocelyn was also responsible for the restoration of the Wildenstein castle at Igny, a bar mitzvah gift from Alec’s grandfather to his father . This property had not been inhabited for 13 years and offered her an invaluable opportunity to showcase her famed decorating skills. In 1997, Jocelyn’s father, Armand Périsset, died of pneumonia in Kenya. Alec did not travel to Africa immediately at that time. 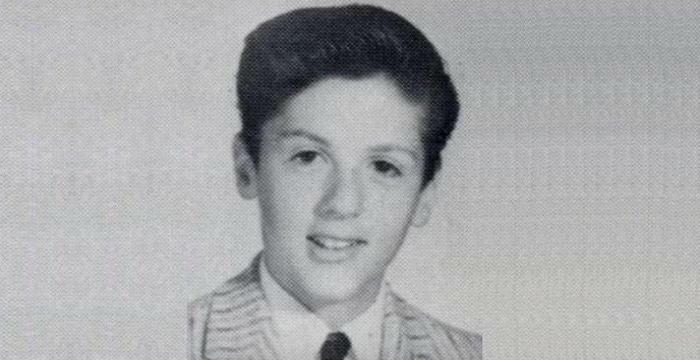 Three weeks later, he revealed to Jocelyn that the marriage was over. She also became cognizant of his affair with Yelena Jarikova, an aspiring Russian model, at that time. The divorce proceedings were contentious with a particularly memorable incident that had Alec being arrested for pulling a gun on Jocelyn in their New York home. This particularly angered the secretive Wildenstein family, especially Daniel, who, along with Alec, instigated efforts to remove Jocelyn from the townhouse and curtail her extravagant spending. Eventually, these efforts caused a rift between Alec and his children. After a protracted process, which had Jocelyn claiming that she was mistreated by family members and staff alike, the divorce was finalized with both parties moving to limit press coverage for a variety of reasons. A number of unkind comments were made in the media about Jocelyn’s appearance. 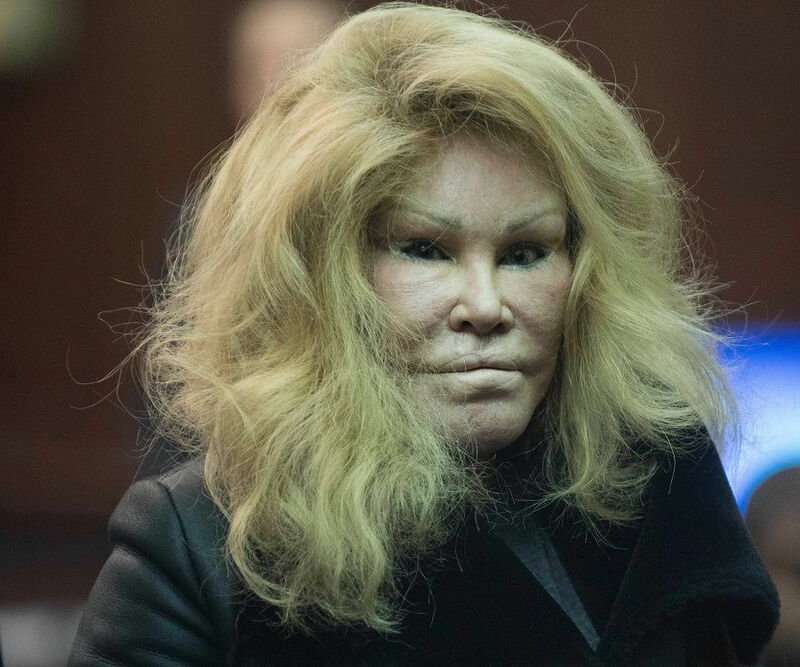 She was reportedly compared to a space alien and called the “Bride of Wildenstein” and “Catwoman.” Jocelyn received a record settlement of US$ 2.5 billion and was to receive US$ 100 million per year for 13 years after the divorce, although the judge stipulated that these funds could not be used for further plastic surgery. Alec’s inheritance of half his father’s fortune in 2001 continued to fund these payments until his death in 2008. Despite her extravagant lifestyle, Wildenstein faces persistent financial troubles. In 2015, she was sued for having a credit card debt of US$ 70,000, along with unpaid rental fees. She also stated in 2016 that she could not afford food after her husband’s estate stopped sending her payments. In 2017, she listed her ‘Trump Towers’ apartment worth US$ 11 million for sale after defaulting on a US$ 4.5 million mortgage payment. In recent years, Wildenstein had been dating French designer Lloyd Klein until a violent altercation in 2016 led to both their arrests and a temporary rift. They were reunited after a violent car crash severely injured Klein. In August 2017, the couple got engaged as Klein proposed to the socialite with a 32-carat diamond. However, they were arrested for violent behavior again in November 2017. Wildenstein was known for her love of water-skiing on the Zambezi, which is infested with crocodiles. She also reportedly swam there. She and Alec Wildenstein once stated that they spent an average of US$ 1 million in a single month. For their daughter Diane’s 17th birthday, the Wildenstein couple built her a mansion at ‘Ol Jogi,’ worth US$ 3 million.